Here is a beautiful photo sent to me by fellow witch and blogger Stacey Carroll, who writes The Country Witch's Cottage. Stacey said: "I thought might be nice for the Pagan Eye. 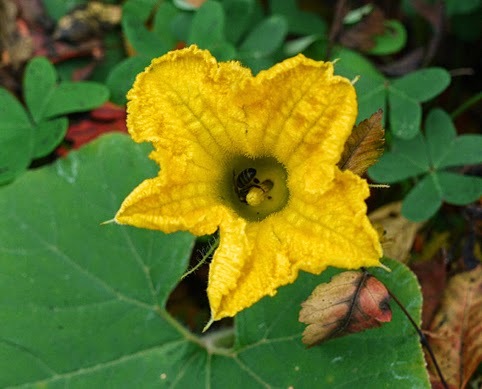 It is of a bee inside a pumpkin flower in my autumn garden, purely a chance photo as I was taking photos of other things." The photo is copyright Stacey Carroll.